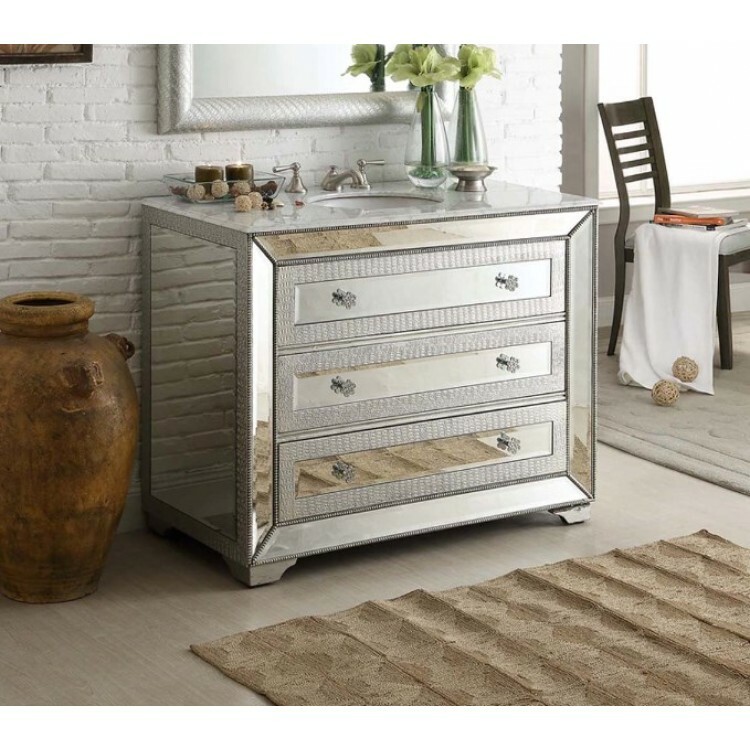 Home » Mirrored Vanity » Single Vanities » Assana 42"
The Benton Collection of Regency styled mirrored furniture casts a sophisticated nod to any room in your home. Designed with modest glamour in mind, with faux leather silver crocodile skin fetching border on the top and on the side add details. The gorgeous cabinet pulls and handles match the style and overall appearance of the furniture. This two drawers head turner master piece is a great addition to any elegant décor. Optional back splash available - $80. Please call for details.